Are you struggling with tooth loss? An incomplete smile can effect more than just your outward appearance and your confidence, it can compromise your oral health as well. Coming as one of the greatest innovations in dentistry in the past 40 years, dental implants are a great way to restore your smile to mint condition. because of the excellent way they replicate the look, feel, and function of natural teeth. If you’re looking for a local dentist that offers high quality West Chester dental implants, then consider the experts at the West Chester Dental Smile Center. At West Chester Dental Smile Center, we’re dedicated to providing our patients with the highest levels of personalized care. Did you know that the onset of bone loss can occur quite rapidly in the spot of missing teeth, resulting in some serious health consequences? That’s why our knowledgeable practitioners recommend that you come see us as immediately as possible when a tooth is lost. We’ll help you find the restorative treatment that best meets your unique situation, considering many factors including your medical history, the extent of tooth, gum and bone loss that may have occurred, and your aesthetic dental goals and expectations. Our premium West Chester dental implants are an excellent solution for missing teeth. They’re designed to function like the roots on a tooth so once they’re embedded into the jawbone during a minor surgical procedure, they serve as a sturdy foundation for a crown, bridge, or even denture. 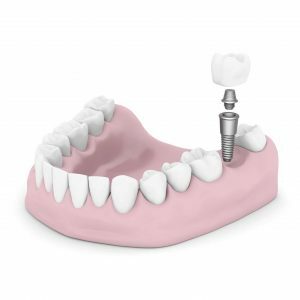 Dental implants have a success rate of about 98%, the highest of any implanted surgical device, making them a very effective and reliable restorative treatment. If you’re considering West Chester dental implants to reestablish the appearance and functionality of your smile, then let our expert practitioners be of assistance. At West Chester Dental Smile Center, compassionate care is our specialty so you can rest assured that your oral health is in the right hands. This entry was posted in Dental Implants and tagged 45069, Dental Implants, Dental Office, Dentist, Dentistry, Tooth Loss, West Chester on March 11, 2017 by admin. 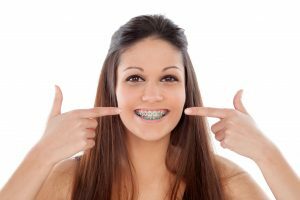 Many adults who require orthodontic treatment are concerned about how an orthodontic appliance will affect their appearance.45069 Invisalign is an increasingly popular alternative to traditional metal wire braces. Invisalign is made of clear plastic that is barely noticeable to others. Invisalign is designed to suit your lifestyle. At West Chester Dental Smile Center, we make this cosmetic and convenient method of straightening your teeth available right in your neighborhood. 45069 Invisalign is an effective method of achieving straighter teeth and correcting malocclusions of the bite. Orthodontic treatment is necessary not just for cosmetic purposes but also for the benefit of your oral health. Teeth that are misaligned are more susceptible to decay, bone loss and TMJ disorders. Invisalign works by gradually moving your teeth to their correct position in the jaw. Your dentist will utilize diagnostic films and 3-D imaging to map out the course of your treatment. The images are sent the Invisalign laboratory where a series of BPA-free plastic aligners are fabricated. 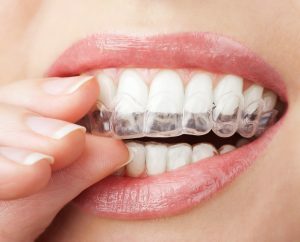 The aligners are custom-made to fit your teeth at each stage of treatment, and each aligner is worn in sequence for about two weeks. The aligners, in addition to being barely noticeable to others, are also removable, allowing you to brush and floss your teeth as well as eat without restriction. Straightening your teeth is a gradual process, but with all the advantages that Invisalign has to offer, the time will fly by. Before you know it, your smile will be beautiful and even. A well-aligned smile improves your appearance as well as the function of your teeth. 45069 Invisalign is the best way to straighten your teeth without having to disrupt your life. At West Chester Dental Smile Center we make this state of the art approach to aligning your teeth available right in your area. For more information, give us a call today. This entry was posted in Invisalign and tagged 45069, Braces, Cosmetic Dentist, Dental Exam, Dental Implants, Dental Office, Dentist, Dentistry, Invisalign, Veneers, West Chester on December 26, 2016 by admin. The best dentist in West Chester is able to combine the science and art of dentistry to give you a smile that is both healthy and beautiful. 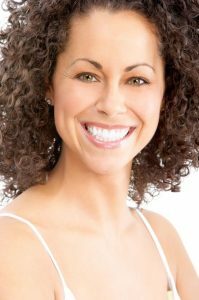 West Chester Dental Smile Center offers state of the art porcelain veneers and dental crowns to enhance the size, shape and color of your teeth. If you struggle to smile with confidence, then this cosmetic option may greatly improve your psychological outlook and quality of life. Porcelain is a durable, stain resistant material that captures and reflects light in a way that resembles natural tooth enamel. West Chester Dental Smile Center is the best dentist in West Chester for porcelain veneers and dental crowns. Dental veneers offer a minimally invasive solution for achieving a more attractive, symmetrical smile. This popular procedure can correct gaps, chips, misalignments, or discoloration in otherwise healthy teeth. The veneers are custom-made from dental grade porcelain to fit over the fronts of your teeth. These thin porcelain shells recreate the natural luminescence of your teeth, for a smile that is vibrant and natural looking. Others may require a full-coverage dental crown, which, like a veneer, improves the appearance of teeth, while also providing protection to the underlying tooth structure following procedures such as root canal therapy or deep fillings. The porcelain crown fits like a cap over your treated tooth to restore its appearance. Crowns can also be used to anchor a dental bridge, which serves to replace missing teeth. Both veneers and crowns are excellent restorative options for creating a radiant smile. If you are looking for the best dentist in West Chester for cosmetic and restorative options, contact West Chester Dental Smile Center. Porcelain veneers and crowns can give you a brighter more harmonious smile, while keeping your natural tooth structure healthy. Our friendly office staff make it easy to schedule an appointment. If you are unhappy with the appearance of your smile, give us a call today. This entry was posted in Dentist and tagged 45069, Braces, Cosmetic Dentist, Dental Implants, Dental Office, Dentist, Dentistry, Invisalign, Veneers, West Chester on December 11, 2016 by admin. So you need to have a dental procedure done, and you’re feeling relatively anxious? Okay, maybe really anxious? Stress about a dental procedure is actually a commonplace feeling. At West Chester Dental Smile Center,we understand! Their highly skilled dentists provide the utmost attention to making your visit as comfortable and worry-free as possible. Offering sedation dentistry in a well supervised and monitored setting can make leaps and bounds for your visit to be a pleasant experience. So if you’re apprehensive about your next dental visit or procedure, schedule an appointment with their West Chester dental office. Putting off dental treatment is never a good idea. The majority of dental issues progress over time, with the potential for additional visits to the dentist being required, and of course, greater expense. Here, at West Chester Dental Smile Center, they are prepared to perform an impressive variety of dental procedures ranging from emergency treatment, preventive, restorative and cosmetic care, to orthodontic appliances, root canal therapy, dental implants and even snoring appliances. Whatever the treatment is that you may need, your West Chester dental office has got you covered. Serving the West Chester area for over 35 years now,at West Chester Dental Smile Center, you’ll find the experienced professionals to get the job done – pleasantly! Providing the leading edge in treatment technology and methodology, all in a warm and caring atmosphere, their dentists will earn your trust, and make your experience as easy as possible – you’ll wonder why you waited in the past. Their West Chester dental office is conveniently open Monday through Thursday, and by appointment on Saturdays, for those of us who can’t make it in during the week. 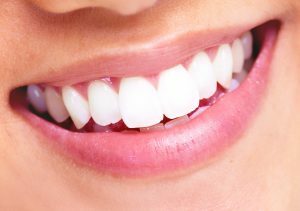 To learn more about the services offered at West Chester Dental Smile Center, take a look at our website at www.westchestersmilecenter.com. Calm, smooth sailing with your next procedure! This entry was posted in Dental Office and tagged 45069, Braces, Cosmetic Dentist, Dental Exam, Dental Implants, Dental Office, Dentist, Dentistry, Invisalign, West Chester on November 26, 2016 by admin.